Dr. Li has more than 20 years of experience in science management and research administration, including project management, research policy development, scientific writing and editing, peer review, and scientific meeting planning. 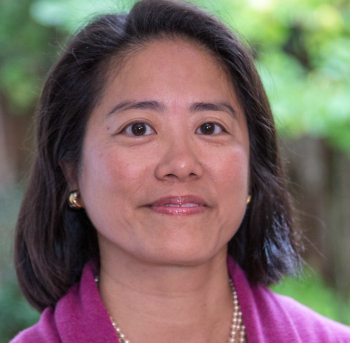 Prior to founding Rose Li and Associates, Dr. Li held leadership positions at the National Institutes of Health, including as Special Assistant for Policy Development with the NIH Office of Communications and Public Liaison, as Chief of the Population and Social Processes Branch in the Behavioral and Social Research Division of the National Institute on Aging, as Senior Policy Advisor to the NIH Office of Extramural Research, and as a program official with the National Institute of Child Health and Human Development. She continues to manage a number of projects, interacting directly with clients, and contributes to both the substantive content of deliverables, as well as running the company. She earned her BA and MBA from the University of Chicago and her PhD from Princeton University in Public and International Affairs, with a concentration in population policy. She is a past president of the Association of Princeton Graduate Alumni and currently serves as co-chair of the Asian American Alumni Association of Princeton (A4P)—DC Region. She was appointed by Governor Larry Hogan to the Maryland Commission on Aging and named as its Chair effective September 2016, and appointed to the Maryland State Board of Education by the Governor effective November 2016.